I first met poet and teacher Claire Blotter in September 2011 at the California Poets in the Schools Symposium in Santa Barbara. I was having a bit of a rough time, since I'd only just moved to California and barely knew anyone. A conversation I had with a few poets, including Claire, stood out from that overwhelming and somewhat lonely weekend. She spoke about her experiences teaching, her use of performance in the classroom, and tips about getting started as a poet-teacher. She lives in Marin County where she writes and performs poetry with movement and body rhythms. Her warmth and energetic presence made me remember her name at this past year's CPITS symposium, our second meeting. After attending her Poetry Out Loud workshop (which was so rich and informative), we spoke at dinner about her forthcoming chapbook, Moment in the Moment House, bonding over our mutual titles from Finishing Line Press. The third time I ran into Claire was last month when I read for the Why There Are Words Reading Series in Sausalito. I was particularly amazed by her pre-sale strategies, which mostly involved emailing everyone she'd ever met and through talking to her vast network of kindred spirits in person. She smiled as she told me about reminding her hair stylist to buy the book. Why didn't I tell my hair stylist? I thought. Which brings us to this interview where Claire speaks about building a successful career as a full-time poet. 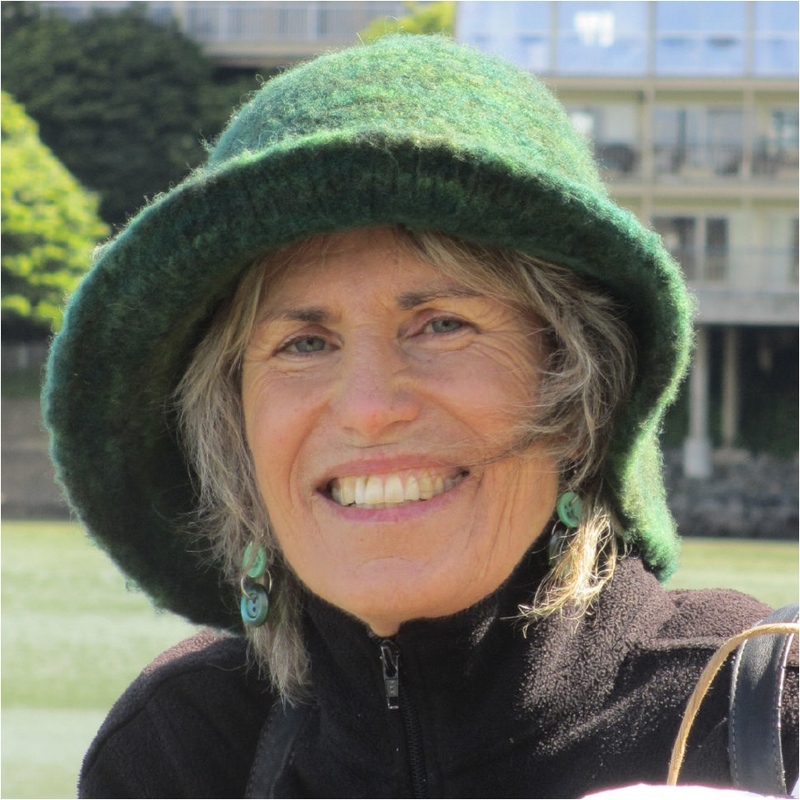 She has taught performance poetry privately and at San Francisco Bay Area universities since 1981 and also published two other chapbooks. She currently teaches writing to children and high schoolers through the California Poets in the Schools and Poetry Out Loud Programs. Laura Davis: Your past work experience includes supporting yourself through teaching poetry writing and performance. How has that experience, particularly your work establishing a local network of interested parties, influenced your promotional efforts for your chapbook? Claire Blotter: When I supported myself entirely by teaching writing workshops in San Francisco and Marin, it was by creating workshops, performances and readings, where people made social connections and enduring friendships- social networks with mutual support. The performances often involved the audience members in some way, which created a deeper community bond. Two of my students from Marin and San Francisco, whom I bought together for an advanced performance poetry workshop, ended up becoming life partners [who are] still together after 15 years. When I was called on to promote the pre-sale of my book, I used all the email and address lists of social networks I had ever been involved in—as far back even as high school! LD: What advice do you have for published poets just beginning the promotional process? CB: Think about the people who have loved and supported you over the years. Let them know that you've worked hard on this amazing new book you're delighted to share with them and ask them for their support. Ask them for help. People LIKE to help, but you have to ask, the hard part for me! I sent out 3 rounds of emails for the pre-sale of my book which I've heard is what it takes for most people to respond to non-profit requests. 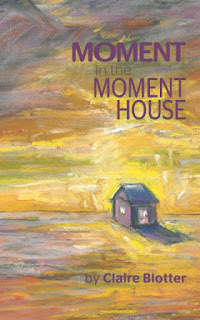 LD: If you had to summarize Moment in the Moment House in one sentence what would it be? What about just three words? CB: Stay present with fear, witness or respond with integrity in the moment, don't let the darkness outside or inside you scare you from seeing truth. Three words: witness, respond, moment. LD: What part, if any, does performance play in Moment in the Moment House? I have already memorized about a third of the book and performed poems for high school and adult audiences. By the time I've finished editing a poem, it is usually memorized or close to being memorized. Performance of the poems is what, in my opinion, will sell the book, because oral presentation gives the audience an emotional experience they often want to take home with them or at least examine more closely on the page to see what moved them. LD: What plans do you have marketing-wise once the chapbook is released? CB: I have a Marin [County] book launch planned for March 23, my birthday, at my favorite nearby independent bookstore Book Passage, and a reading with others at the Why There Are Words reading at 333 Caledonia Street on April 11th. I also plan to go on a performance poetry summer tour of cities where I have friends and relatives from Southern California up the coast as far as Washington. I expect to sell poems based on my performances as people have requested books after performance readings I've done in the past. I need to create a website and get more hip to social networking! I had my first chapbook come out August 2011, and tried desperately to hype it - alas, other than a few reviews, it failed. Even getting it into bookstores was like pulling sore teeth. Over a year later, I'm wondering what I should do - buy copies and secret them into coffee shops? Pretty much at a loss. I'm curious if you have any tips for me. Congrats, by the by, on your chap, and thanks for blogging on this. Hi Jenny! I'm sorry to hear about your struggles to promote your chapbook. What makes you feel that it failed? Just the difficulty you've had with selling them personally? Has your press said you had low sales? Were the reviews bad? Poetry is a tough market, so that's why we have to champion our own work. I think you still have time to promote your chapbook - It's published forever, right? What about planning readings in your town or a nearby city? Literally just ask reading curators for a chance. That's how you get readings. Contact local colleges and universities, particularly community colleges, which often get overlooked. You also need to know your audience a bit. If you don't have a strong online presence, perhaps your readers aren't online as well. Maybe throwing an anniversary launch celebration would be fun. Also, if you combine it with a mutual friend who has a current book coming out, you'll get access to a new audience. If you go to AWP, you should have business cards with your chapbook's details on it. Try Vistaprint or Overnightprints - both cheap and easy. I don't think you chapbook bombed, just needs a little boost! My editor/publisher wasn't too concerned with sales or the dollar amount - the chap was free online, payment for a print copy done through Lulu. He was definitely supportive, fantastic to work with, etc. Since I live in the largest 'city' in Vermont, (i.e. fairly small) I surmised breaking into the writing scene here would be easy, especially with a chapbook publishing cred. I proceeded to query the artsy coffee venues and popular little bookstores to carry my work in hopes of breaking in that way. The responses I got either pleaded too little time or interest in carrying my work, or outright annoyance. It went downhill from there. The upshot is that my work was reviewed by a small paper an hour and a half away, and did another reading that landed my picture in a small local paper, two hours away. I am in two bookstores, but they're both an hour or more away also. I've sent messages to any writing pals/college buddies who wrote and they were too busy and/or currently disillusioned with their own work to really have the energy for mine. I did set up a Facebook page and website for my chapbook, though. I'm toying with the idea of buying copies just to leave in libraries, coffee shops, etc. Setting up readings does terrify me - I'm completely at fault for that - I abhor public speaking. And to be honest - going to a reading with an audience of one does give me the shivers. Ick. Now, after this ramble - should I even keep trying? I can't help but feel the chap is old news since it was published 2011. AWP is not an option - I'm fairly destitute even working two jobs in the winter/3 in the summer (paying for my four years of college hasn't been easy on top of gearing up for writing.) A few kind and generous bloggers did review my work after querying them, and I am grateful for that - but somehow the way the whole chapbook scenario ended left a sour taste in my mouth. My website is jennyrossi.com - if you have any suggestions on how I should redo or change anything on that, it would be wholeheartedly appreciated - though I do know you are rather busy yourself, and would not want you to feel in any way obligated to do so. Any advice is appreciated, and thank you for your last response!